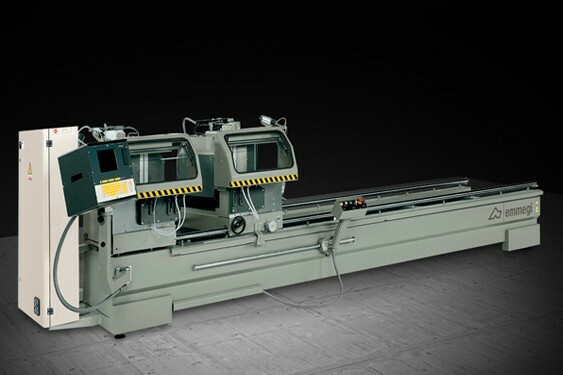 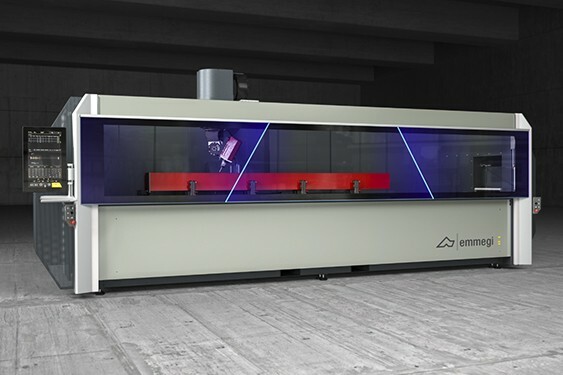 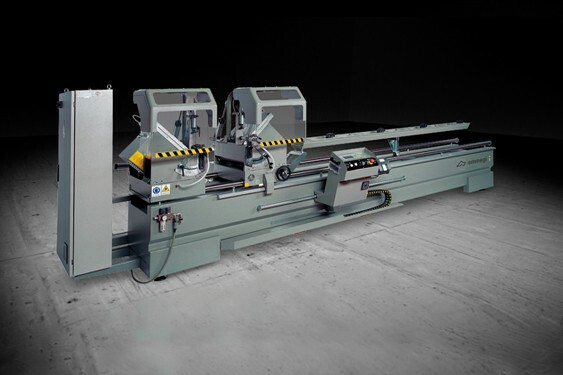 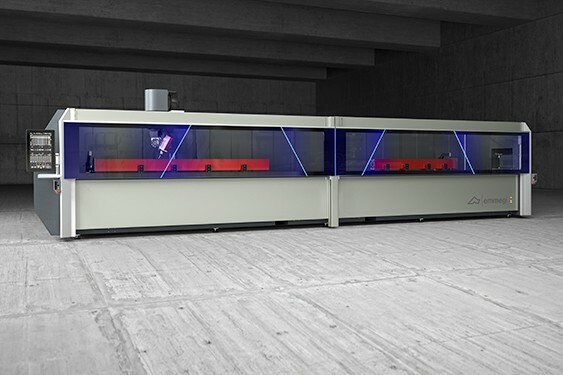 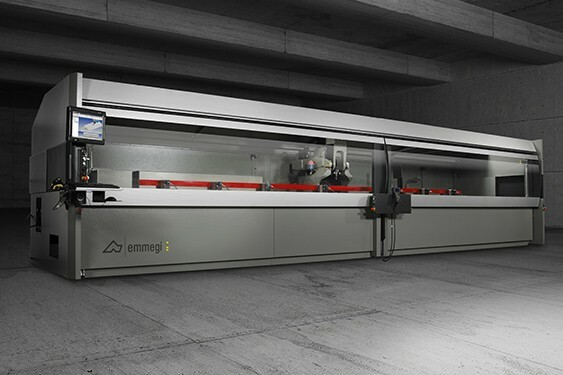 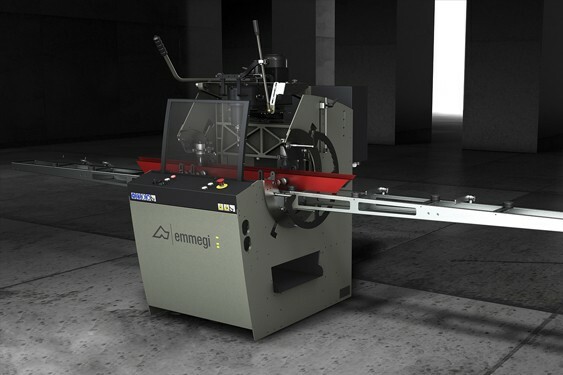 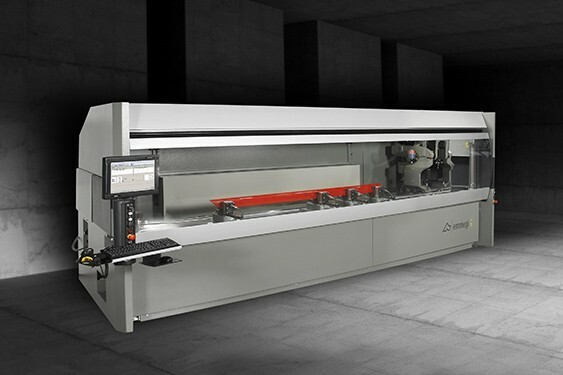 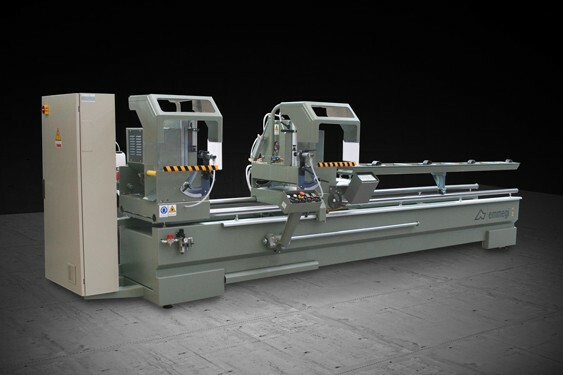 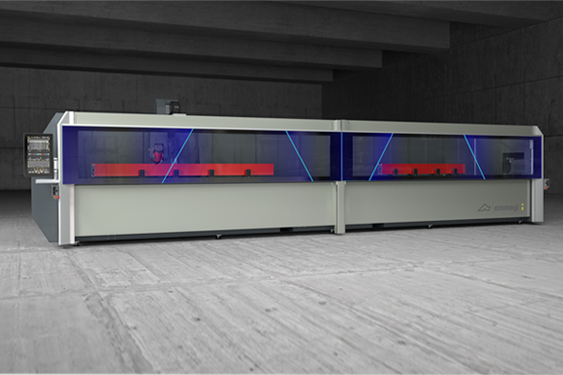 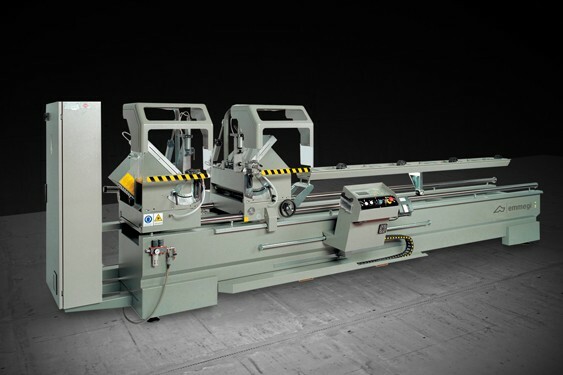 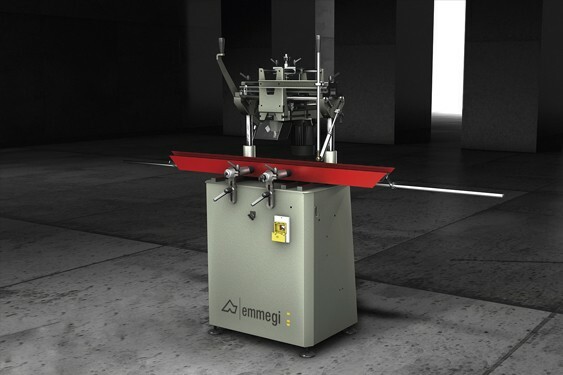 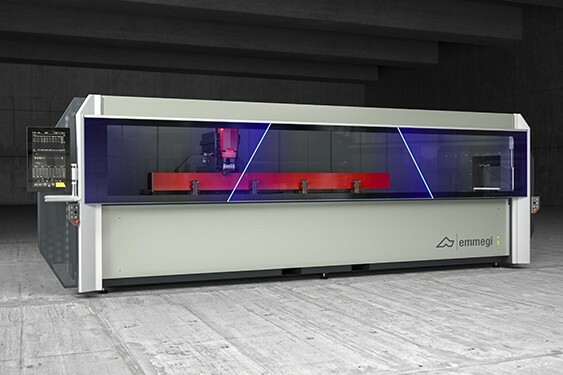 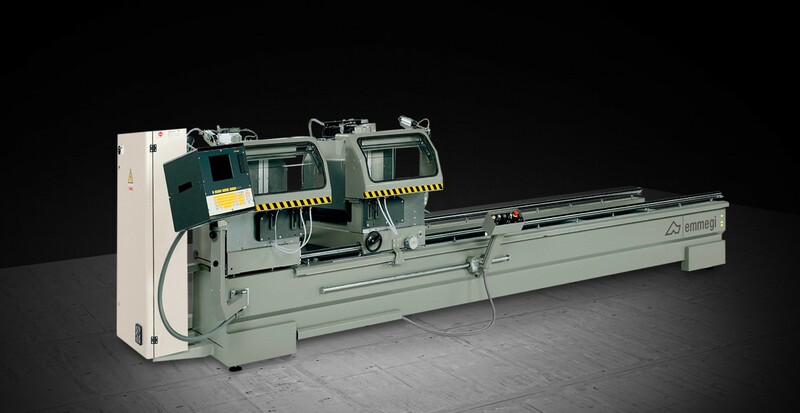 Electronic double-head cutting-off machine with 5 axes for compound cuts. 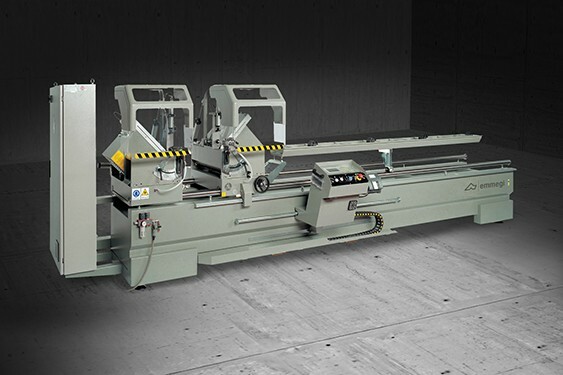 Motorised and electronically controlled rotation of the horizontal axis (22°30’ external and 45° internal) and the vertical axis (45° internal). 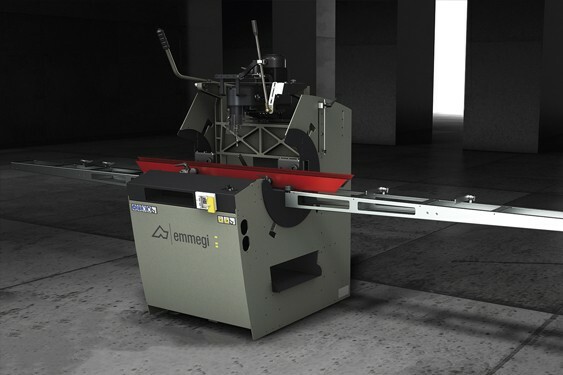 500 mm-blade Available with a useful cut of 4, 5, 6 m in length.